UPDATE: Crossroads College Prep Jazz Ensemble will no longer be able to perform on Thursday December 6 or December 13. This warm weather may have you thinking differently, but ‘tis the holiday season! 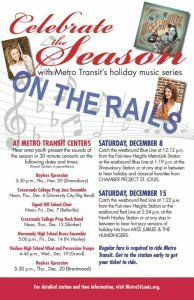 Metro has some awesome musical acts lined up to brin g the holiday spirit to a Metro Transit Center or MetroLink Station near you! 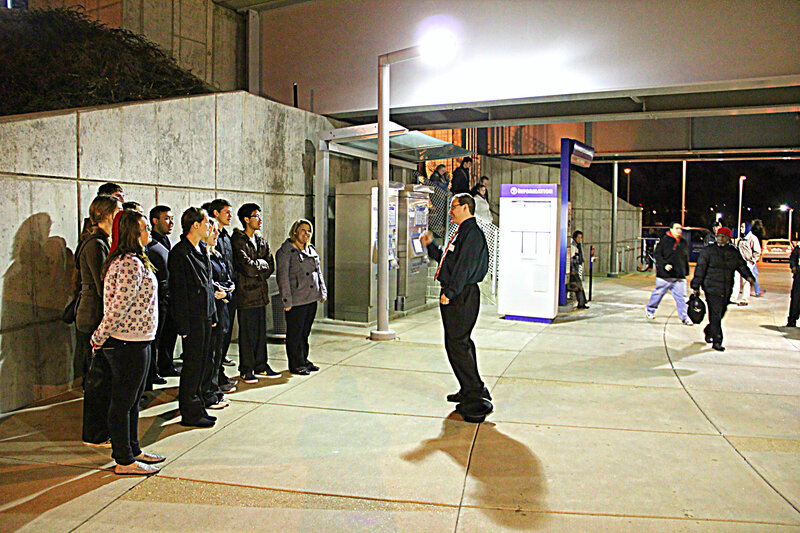 Bayless High School’s Xpression group kicked the series off last Thursday, delighting rush hour commuters at the Shrewsbury Transit Center with holiday carols. It’s pretty hard to be Grinch-like with high spirit from students! Celebrate the Season Concert Series features two performances this week. 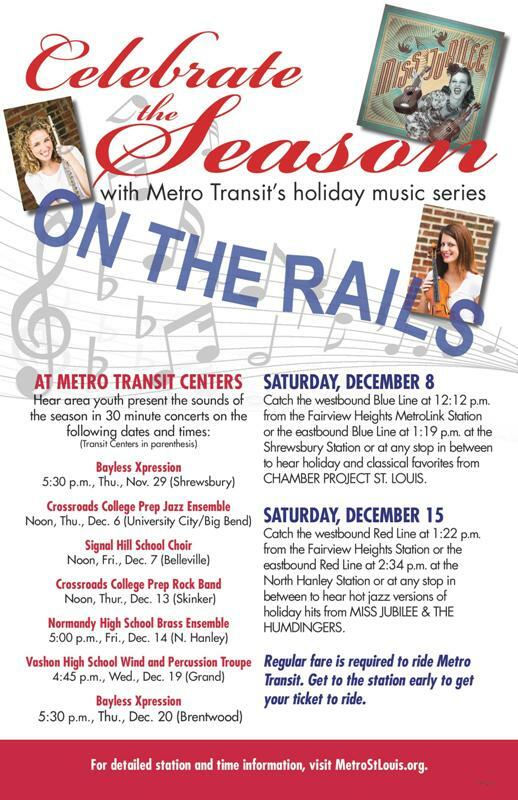 Take advantage of the warm weather and catch a performance during your lunch hour or on the rails on Saturday. On Friday at noon, 40 students in the Signal Hill Middle School Choir will sing carols at the Belleville MetroLink Station. Don’t miss out on some holiday cheer this year!